Cornell University Library is proud to house a rich collection of Chinese-Western language dictionaries from the 16th century up to the present, and a new exhibition showcases 20 valuable items from the collection. The dictionaries included in “Dictionaries: A Bridge Between China and the West” offer a mirror that reflects an essential element in the culture exchange between the two places. "Vocabulary and Handbook of the Chinese Language" (1872) by Justus Doolittle, which introduced many Western scientific and technological terms into the Chinese vocabulary. 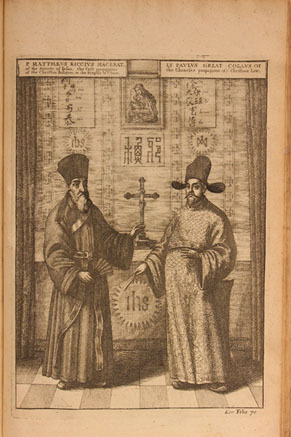 The exhibit is jointly organized by the Library's Division of Rare and Manuscript Collections and the Charles W. Wason Collection on East Asia. It will run through July 5.